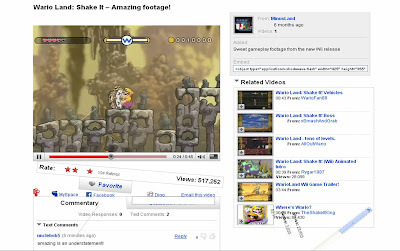 'Wario Land: Shake It' YouTube takeover destroys YouTube page to promote new Nintendo Wii game! 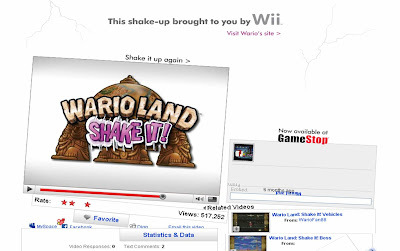 'Wario Land: Shake It' is a new Nintendo Wii game and as part of the marketing around the launch a Wario Land promo video has been added to YouTube. 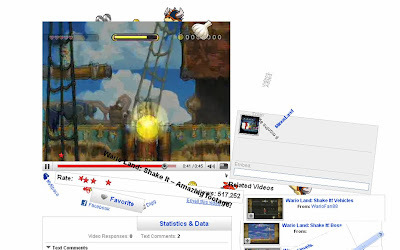 However, rather than being a normal video, 'Wario Land: Shake It' shakes the whole YouTube page and destroys all the headings and captions as it plays! 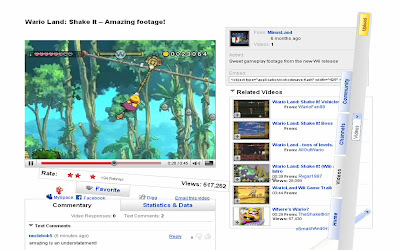 The 'Wario Land: Shake It' video is a great use of YouTube and has received over 500,000 views in just a few days! 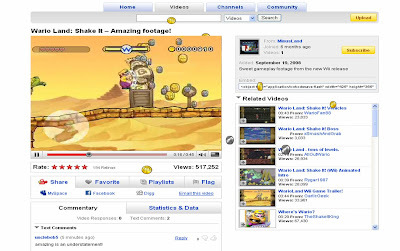 More importantly the 'Wario Land: Shake It' seems to have received a large amount of ratings and embeds and is sure to spread further as more people discover it and forward links. Hat tips to Funkadelic Advertising and Digital Examples for highlighting this! User generated Machinima - a trend to be encouraged? 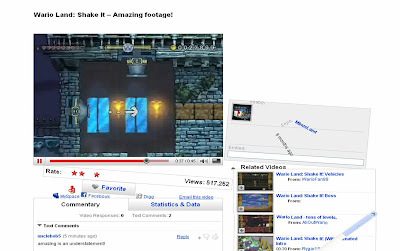 Power of the mashup - great YouTube remakes!